A Spontoon Albino Kaibab Squirrel steals someone's lunch. 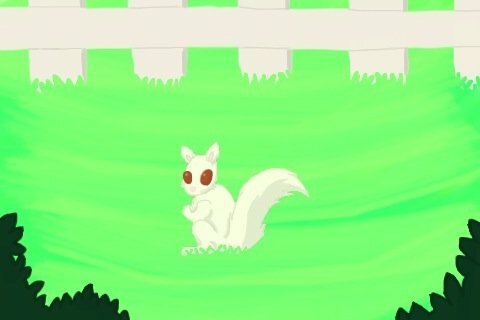 A Spontoon Albino Kaibab Squirrel ('SAKS') in a Casino Island park. "Coming Storm; Main Island, Spontoon Island Atoll"
("A Spontoonie citizen is observing approaching clouds. office near Pier 1, Casino Island), you may have a friendly encounter with a local. 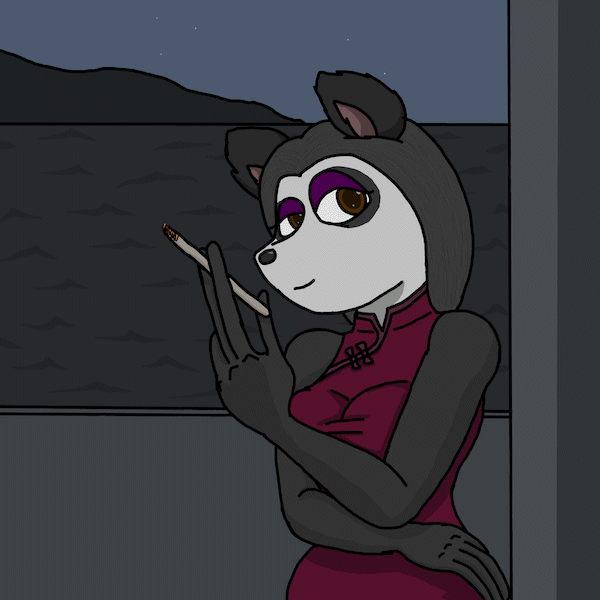 “...She's employed at Madame Wu's Lotus Palace,” writes artist O.T. Grey.